Neck, shoulder and back pain without a dental examination? 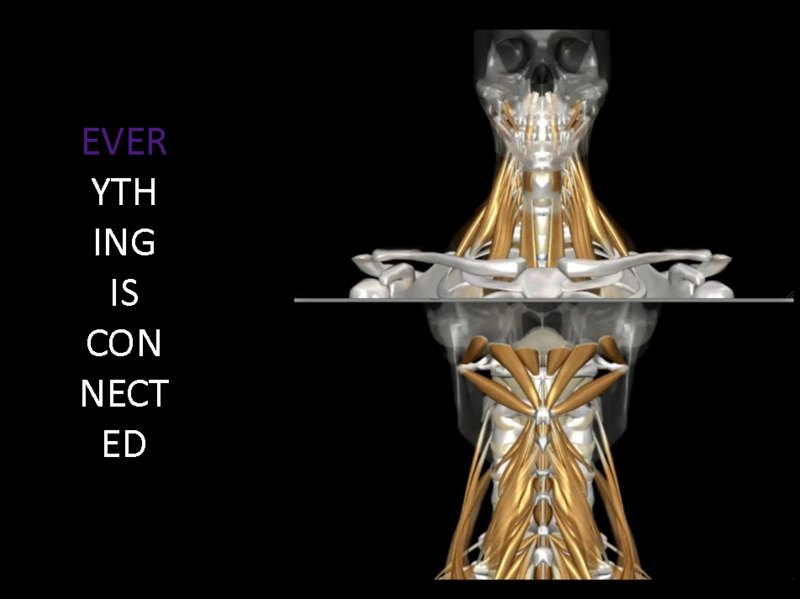 The increasing number of referrals from other therapists confirms the realisation that the muscles of the masticatory system are connected reflectively with the neck and spine musculature. This is why great focus is now placed on dental occlusion or a “wrong bite” which has been found to be connected with symptoms far beyond the area of the head. Massages, injections and analgesics may bring a certain amount of relief, but do not have a healing effect on the actual cause of the problem. Today, we as dentists work in close cooperation with orthopaedists, radiologists, ENT specialists and physiotherapists to help patients affected. As 80 percent of the cases of pelvic misalignment and scoliosis of the spine are triggered by malocclusion and the malocclusion and the resulting CMD, joint treatment is important for all those involved, as orthopaedic and dental problems may be closely linked in the case of CMD. A trusting cooperation with the above-mentioned co-therapists in our smileperfect practice is a constituent part of a scientifically acknowledged therapy concept and course of treatment.